HOMECOMING ROYALTY … Nick Weigand and Addy Gamber after being crowned the 2019 Fulton County Jaguars Homecoming King & Queen. The Fulton County Special Olympics celebrated their Homecoming with a ‘Hollywood’ themed event this year. The Jaguars host Henry Co. Special Olympics in the annual event. The event was held at Archbold Elementary School, and every year the Archbold Student Council volunteers their time to attend the event, helping with refereeing, serving food, breaking it down on the dance floor, and cleanup. The Jaguars vote on a King and Queen every year. Making up the Homecoming court this year were: Nick Weigand (Archbold), Dakota Hamrick (Swanton), Jason Fields (Delta), Kevin Bell (Wauseon), Ana Holz (Wauseon), Megan Marini (Archbold), Addy Gamber (Wauseon), and Deb Michalkiewicz (Delta). Nick Weigand and Addy Gamber were crowned the 2019 Homecoming King & Queen. 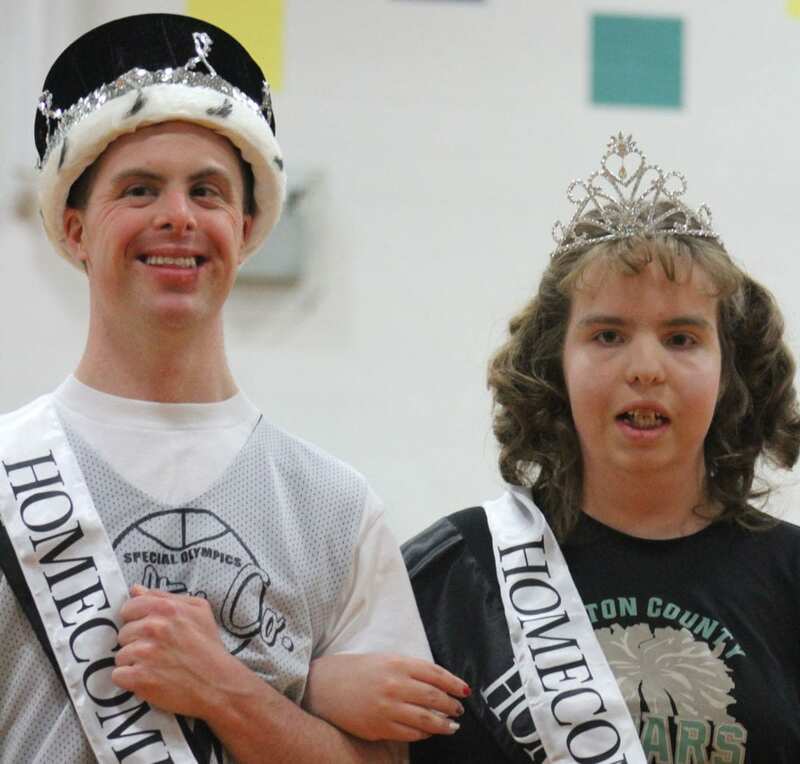 Be the first to comment on "Fulton County Special Olympics Celebrates Homecoming"